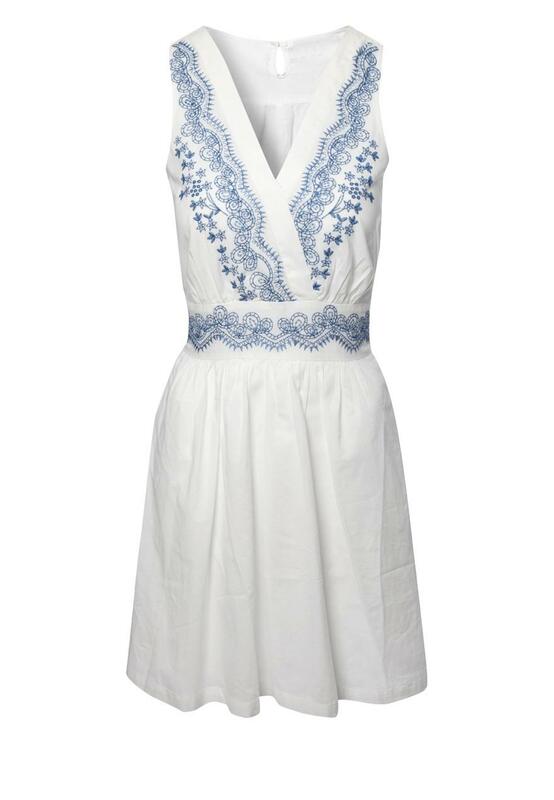 With its beautiful ornamental contrast embroidery this sleeveless dress with its deep v-neck really is something special. Flatteringly figure enhancing, thanks to its fitted top and fluted skirt, and with a cheeky keyhole detail on its reverse. 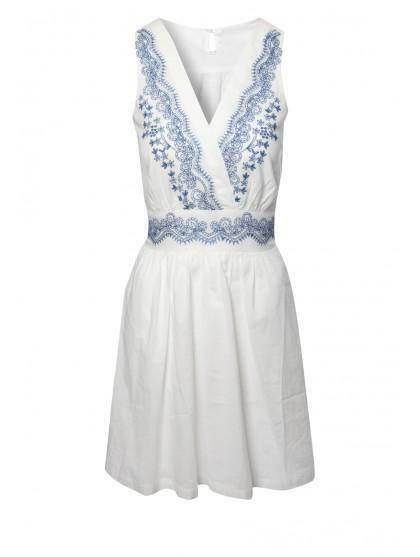 It's the perfect dress to take you from day to night for those days when going home to change just isn't an option.